As one of the host venues for the Toronto International Film Festival, the Ryerson Theatre welcomes some of the industry’s biggest movie stars, directors and creative minds through its doors. Among those this year will be at least one recent Ryersonian. 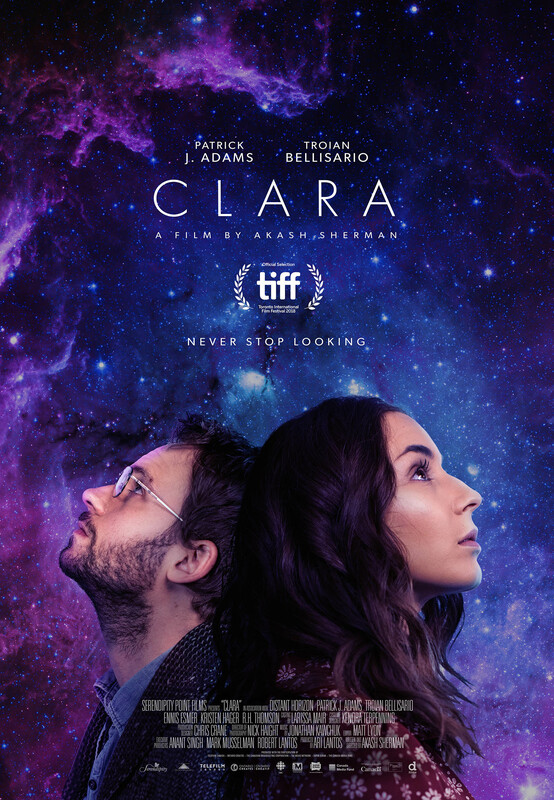 Former FCAD student Akash Sherman is the director and screenwriter of Clara, a Canadian-made sci-fi drama making its world premiere at TIFF Sept. 10. It follows an obsessive astronomer, Isaac, and a curious artist, Clara. On their own, they are hopeless and troubled souls. When they come together, they are able to make magic happen. It’s at this point that the film becomes a story about the importance of human contact, regardless of individual differences. Premiering it at Ryerson “feels like graduation,” Sherman says. He started the Image Arts program in 2014 with a concentration on film studies and left after one year to dedicate his time to Clara. Had he continued the program, he would have graduated this year. Sherman isn’t the only crew member with Ryerson connections. 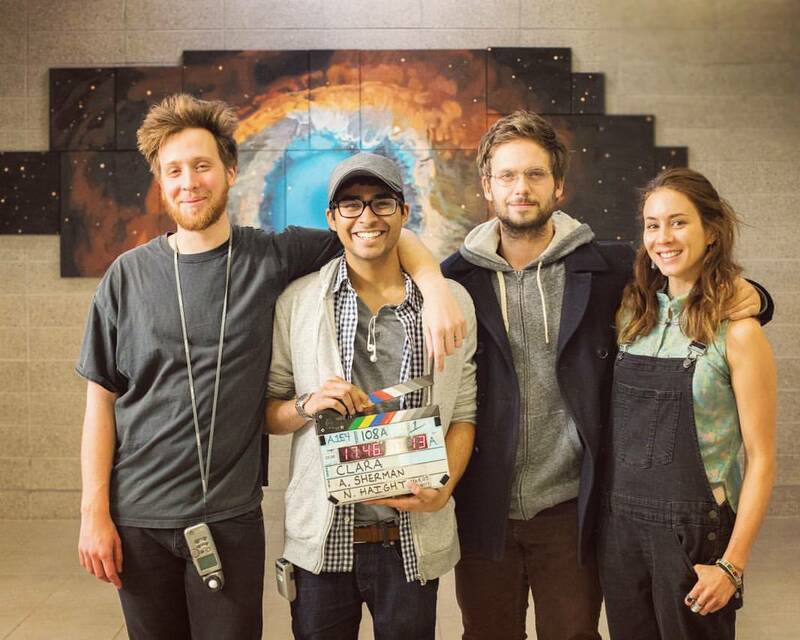 Image Arts alumna Marianna Margaret was a focus puller, alumnus Matt Veen was second AC and Nick Haight, who graduated from the program a few years before Sherman, was cinematographer. During filming, the crew had the chance to return to a familiar place as classroom scenes were shot in the George Vari Engineering and Computing Centre. But Ryerson’s contributions to Clara don’t end there: Sherman thought of the idea while he was in class – specifically, an art history class in his second semester. Helping bring Sherman’s vision to life was producer Ari Lantos, whom he met at the 2013 Banff World Media Festival. Lantos was responsible for recruiting the film’s stars, Patrick J. Adams (Suits) and Troian Bellisario (Pretty Little Liars). The pair, who are married in real life, bring impeccable chemistry to the screen, despite their characters being unlikely lovers. The incredible acting and meaningful story – not to mention the Ryerson pride – make Clara a worthwhile watch at this year’s TIFF. “I hope the film moves people emotionally the way the script moved me when we first began developing the project,” Lantos said. Sherman hopes to see Ryerson students at the film’s premiere and second screening on Sept. 13 at Scotiabank Theatre.